You could recall that the problem of every network lies in the hands of the users, and the solutions to that problem are being profaned by a network admin. What makes you a master of your network is the ability to dictate loop holes and block them, now when this is done, everyone will enjoy your job and also believe in what you can do even in your absence. The IT world is one the most interesting place anyone could ever dream of, this is because remotely you can do something; physically you can also do something so it doesn’t necessary require your presence to do some certain configuration and bandwidth management things. 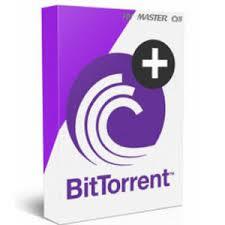 So in this tutorial am going to simplify how you can block user with BitTorrent & P2P traffic. In my carrier as a network admin this has being a very challenging issues organization faces on a daily basis. You will found that a company on a subscription of let say 5Mbps cannot even send or receive mail just because someone is somewhere pulling all the traffic and congesting the network all to himself, doing streaming, downloading movies, watching p*rn and so on, it could even be that the computer systems are doing background update even without the notice of the owner. All these heavy traffic will limit the official daily jobs and left the organization frustrating for the day. Meanwhile the blog post is for us who manage a certain bandwidth range if you’re in an advanced country where you have up to about 1Gbps I don’t think you need to worry about blocking bit torrent users. In the previous tutorial I was concerned with those users that are pulling heavy traffic and here am going to show you how you can completely run them off your network. So the first we are going to do is to add a new mangle that will mark all other traffic on the network. Recall that before now we were only marking packet and we are about to mark connections as the chain and action we are going to choose is mark connection, your can give it a name in a new connection to identify the rule you’re creating. And going to check the pass-through box. Click apply and okay. The rule should be placed below the last peer to peer rule. Next thing will do is to add a time out to the rule we created earlier on users pulling heavy traffic. Click on connection and double click the users to add a time out. So in the rule we can say if the user is running bit torrent let the network time him out after like 10mins or there about depending on the time you want to lease out. So, what this will do is to expire the user login address after that specific time if the user is running bit torrent now the reason for this configuration is that we don’t want to finally knock the user of our network, but we are passing information to the user saying hey! We knoe what you are doing is either you stop or keep on being kick of our network. For mw I think this the most efficient way of doing the job. So have to set a rule now that will drop the bit torrent traffic completely. Click on plus sign to add rule. The chain is forward and all psp, action drop. Click ok and apply. Next we are going to look for the connection that say depending on the name you give the last rule we created earlier for it was torrent so we look for torrent. On the action we are going to drop it. On the src add it will be bit torrent user. Click apply and ok. So this is a little job but is nice and work perfectly in every mikrotik router.